Lori Loughlin‘s kids, Olivia and Isabella, have tried beating USC to the punch … TMZ has learned they are officially out of USC by their own accord, but they’re still not out of the woods. 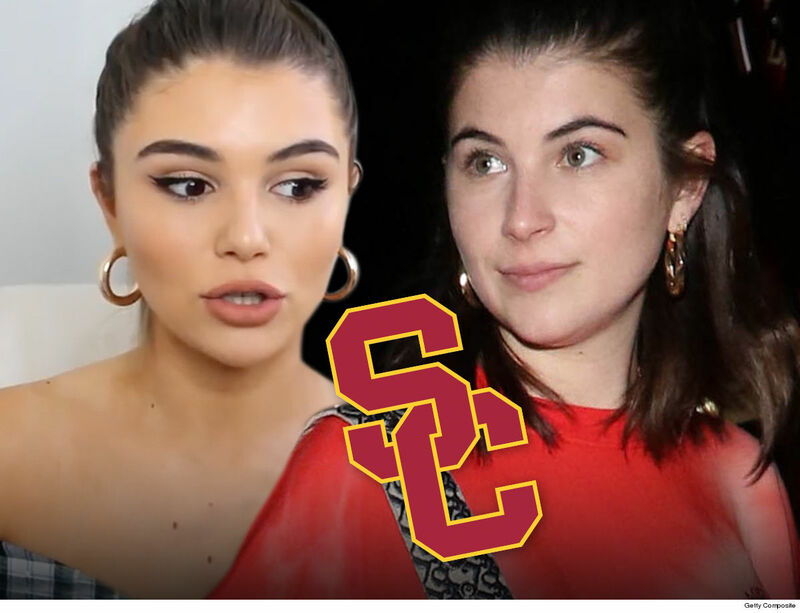 School officials tell TMZ … Olivia and Isabella have formally dropped out and withdrawn from USC … this after their mom and dad were indicted for using the U.S. mails for fraudulent purposes. The parents allegedly paid a $500k bribe so the girls could gain admission through the crew team … they even faked a photo making it appear they were proficient in rowing … but they were actually on a rowing machine. The photo was so bush league you could see mirrors in the gym in the background. We’re told the girls can appear in person at the hearing. If they don’t, school officials will proceed without their input. Our sources say there are a number of other similar cases the University is currently investigating. The school, we’re told, is working with the FBI and U.S. Attorney.